Michael Clements has been actively involved in the financial services industry since 1999. He possesses an in-depth knowledge of investment strategies and has built a sound reputation for designing efficient wealth creation and protection strategies for clients with the Financial Design Group. In 2007 Michael was invited to become the firm’s first equity partner. In 2009, he was named Co-Managing Partner, and in 2013 was named President of Financial Design Group. As President and an equity partner in the Financial Design Group, Michael focuses his efforts to manage and grow the firm while maintaining the “Legacy of Loyalty” that FDG has established with its advisors, employees, clients, and the community. He specializes in working with the firm’s advisors on practice and case development, and manages FDG’s investment advisory and fee-based planning divisions. Michael continues to serve his private client base and actively consults with the firm’s advisors to develop strategies for the creation and preservation of multi-generational wealth for clients. His advice is grounded in a process based upon fundamental economic principles. Michael’s private clients include school endowments, charitable foundations, closely held businesses, and a select handful of high income/higher net worth individuals. He routinely works in conjunction with attorneys and accountants to provide complete solutions for his clients that integrate all aspects of their wealth management. Michael is a graduate of Ohio University, a registered representative and an investment advisor representative with Securian Financial Services, Inc., Member FINRA/SIPC. In 2010 Michael earned the Accredited Investment Fiduciary ® or (AIF ®), a professional designation awarded by Fiduciary 360 for completion of formal training in investment fiduciary responsibilities. He regularly participates in workshops and study groups to stay on top of the changing economic landscape and wealth management trends and techniques. Married for 17 years, Mike feels his greatest accomplishment is his family. He and his wife, Allison, are actively involved in the community and are raising their three children (Foster, Lilly, and Sophie) to be committed to service as well. 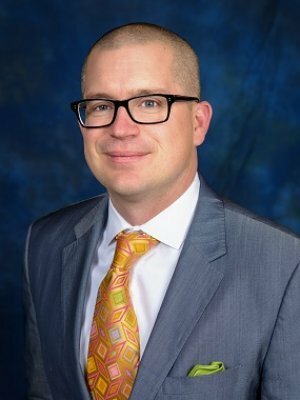 Mike has served on the board of charitable organizations including two terms on the school board for Toledo School for the Arts, was a 2009 graduate of Leadership Toledo, and received the 20 under 40 Leadership award in 2012.